It may be cold outside, but the kiln is hot inside. 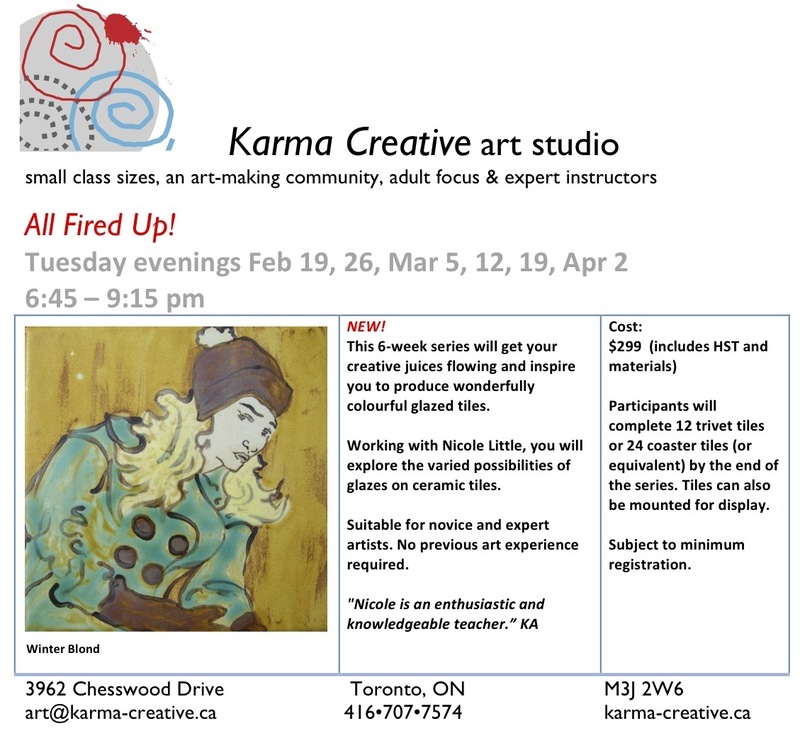 We’re excited to announce a new course with artist Nicole Little. This 6-week series will get your creative juices flowing and inspire you to produce wonderfully colourful glazed tiles – representational or abstract. Working with Nicole, you will explore the varied possibilities of glazes on ceramic tiles. Suitable for novice and expert artists. No previous art experience required. Participants will complete 12 trivet tiles or 24 coaster tiles (or equivalent) by the end of the series. Tiles can also be mounted for display. $299 (includes HST and materials). Subject to minimum registration. Come on your own, or bring a friend but register now and join the fun.